You know those moments when you are flipping through a magazine or a catalogue and find yourself lusting after the stylish and chic home inspiration ideas. Yeah, you know what I mean. Those homes that look like something you will only ever see in print and never in real life, unless of course you have the big bucks to hire an interior designer and make it happen. Well it need not be that way. 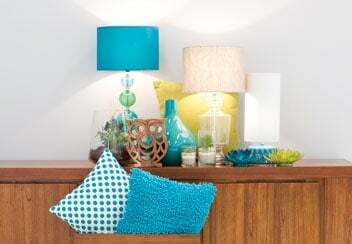 Styling your home on a budget is totally do-able! All you need is a few key style elements, some creativity and some fab inspiration. It’s amazing how much difference a new quilt cover set and some cushions can make to a bedroom. Especially if the ones you have already are old, faded, or simply a clash of colours. Pick a colour theme you want to go with for your dream bedroom on a budget and find some bedding options to suit. 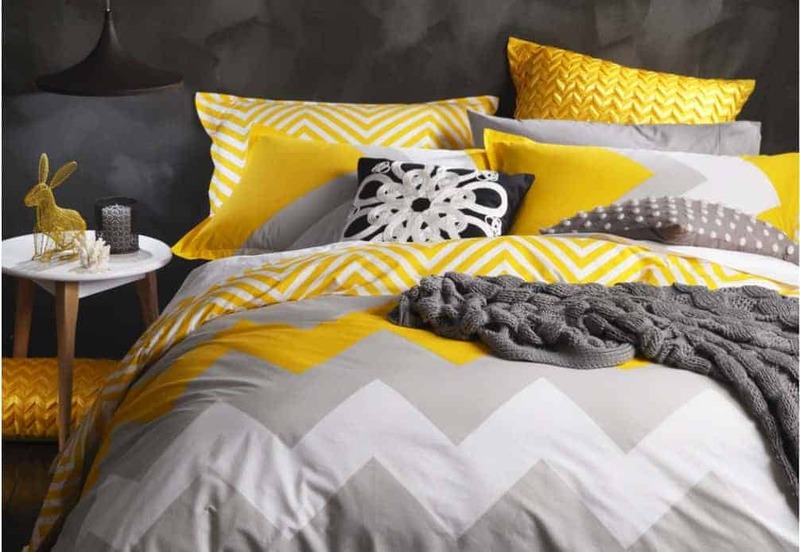 Grey and yellow are very on trend at the moment and the two colours look great together as a mix of neutral and bold. While those dream bedrooms in the glossy pages are generally free of clutter, they do tend to have a few funky decorative accessories scattered about, further emphasising that colour scheme and style. A bold lamp, a vase with artificial flowers or some floating shelves with small accessories can really add a little something extra to the bedroom, without costing you a fortune. Another great way to decorate with accessories in the bedroom is with bold wall prints, a floor rug, or a modern-look lamp table, such as in the Brooklyn Style Boudoir feature in Real Living Magazine. Mirrors are known for making a space look bigger so if your bedroom is a little on the small side, a few small scattered mirrors or a larger feature mirror can brighten up the room and give it the appearance of being larger. 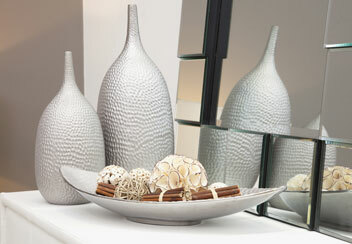 For more inspiration on creating your dream bedroom on a budget, check out the Super Amart website for a range of homewares, furniture, manchester and decor items to suit all budgets, so you too can be one step closer to having that bedroom you thought only possible in the pages of a glossy magazine. What is your favourite budget bedroom decorating idea? This post has been written in accordance with my disclosure policy. All opinions are my own. A really nice post. Loved it:).